We have a mix of vintage and contemporary furniture onsite, projectors, sound system and microphone available for use. You may decorate as you please and there will always be a Lightspace manager present to ensure everything runs smoothly. Please download our Furniture and AV inventory. What AV equipment is included? We have two fixed projectors which project onto a white wall in the Bar Lounge and onto a 3.6m wide screen in the Main Space. Both have HDMI connections. We also have 4 x 500 watt speakers, 2 mixers, 2 hand held microphones and iPod jacks for you to use. Anything else will have to be hired in. We can recommend trusted suppliers if necessary. Can I supply my own food and beverage? With cocktail-style events you can choose your own food suppliers. We only use a selection of two caterers for sit-down dinners (Wine &’ Dine M and Al Freshco). If you’d like some suggestions we have a list of amazing, reliable suppliers we can recommend. As a fully licensed venue all beverages must be organised through Lightspace. We have some fantastic on-consumption and package options. You can customise Lightspace however you would like, providing that any existing decor is not damaged in the process. No nails, screws or glue may be used. No gaffer tape may be used on the floor. Any onsite furniture that is removed has to be replaced at the end of the event or the next morning by arrangement. Using both LS1 and LS2 combined can host up to 500 cocktail style, 350 theatre-style or 250 for sit-down dining. The spaces can be further divided for more intimate events using drapes we have onsite. Our Bar Lounge is perfect for 150 cocktail style, 100 theatre style or 60 for a sit-down dinner. Will there be another party on the same evening? Nope! 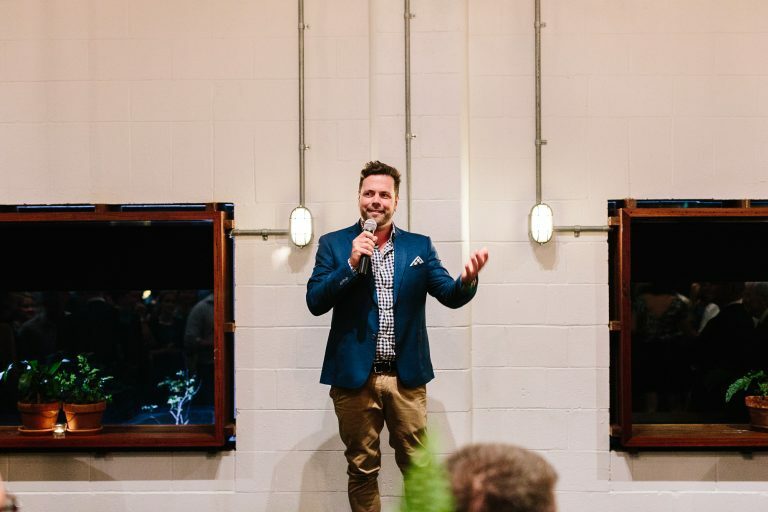 We only ever host one event at a time, so once you book the space is all yours! 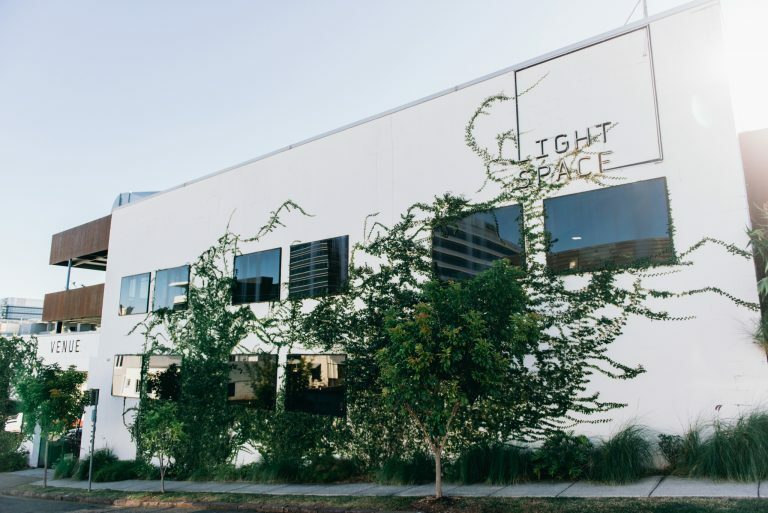 There is no allocated onsite parking available for guests at Lightspace, however outside of normal business hours there is plenty of free street parking available in Scanlan and Prospect Streets. During normal business hours there are metered and free street parks however it can be congested depending on the time of day. There is a loading bay for deliveries and event organisers only. Parking for small daytime events can be organised within the venue. Please ask us for details. The nearest parking stations are at the Homemaker Centre (3 minutes walk) and at King Street (RNA Showgrounds). How does setting up and packing down work at Lightspace? We will set the venue with our onsite furniture and accessories. You can re-arrange if desired, or add your own touches. For most events the bump-out must occur the next morning as we can’t load trucks and vans in the street late at night. There will be NO bump-out via the front door after 10pm, some loading can occur via the back terrace (i.e; catering equipment) but this must be done as quietly as possibly as we have neighbours in close proximity. What time will I have access to set-up? This is normally arranged depending on the amount of set-up required and whether we have an event the previous night. Yes, we have AV equipment in venue so you can play your favourite tunes, or you can borrow our iPod, complete with a quality selection of music. There is however a sound limit and we have neighbours across the road, so the volume is more than enough to have a great party, but not enough to wake the dead. As we have neighbours in close proximity all events must conclude by 11pm on Friday and Saturday nights, 10pm otherwise. In the event of cancellation or change of date all payments made will be forfeited, so please make sure you’re ready to go when you lay your money down. You may make a tentative booking at any time, however the date is only secure with the payment of our deposit fee, which varies according to the venue hire. The Emporium Hotel is a brilliant option only two minutes walk from the venue, otherwise Tryp, Limes, Alpha or Rydges Hotels are approximately ten minutes. Breakfree Apartments on Brookes Street is good for those on a budget. Otherwise we’re only 5-10 minutes from the city via taxi. What transport options are nearby? For transport we highly recommend public transport, taxis or Uber. Buses from the city stop on Wickham Street Stop 8 and from there Lightspace is a two or three minute walk up Light Street. The closest railway station is Brunswick Street which is 10 or 15 minutes walk or 5 minutes via taxi or Uber. Are there options for photography in the area? View our Fortitude Valley and surrounds gallery for inspiration. With ample open space, the venue can be booked as one 660m2 room, or two distinct internal spaces. These can be subdivided into smaller areas for more intimate functions. The best news is you will have exclusive use of the venue, we never host two events at the same time. Arrange a time to visit the venue by adding details of your event idea to our enquiry form. Ready to book? Make an enquiry!